Having missed their last three consecutive records and with a lapse of nearly ten years since that stirring performance in the Chapel at Doom Shall Rise I was curious to discover how much or little the band had changed. Almost immediately, the title track confirms that this is the same strong Isole that impressed me in the past. Any fear of parody swiftly averted. They still feel it. The rhythm guitars make a gutsy charge. The drums are sharp and assured. The melodies divine. But the guttural greeting caught me unawares. Daniel Bryntse swiftly replies with his signature soaring voice. As a recurring call and response technique, the hunter and the hunted, it works well. Fortunately though, the growls are used sparingly around the heavenly singing otherwise I might have struggled to embrace the album as a whole. Six of the seven songs essentially clock in around or above seven minutes. Isole makes much use of this space. As a tight unit, they mastered the dynamic art of composition long ago. There are shifts in pace, lead and tone. Poignant refrains express melancholy deeper than words. The progressive flourishes are very moving too and push further forward than before. In some ways, it is a strangely comforting experience and as I have now spun the album many times, it has also become harder to gauge how much of it actually reminds me of listening to specific Forlorn or Isole songs in my youth or if the new melodies have already become that ingrained in my skull. The very natural bridge between the past and the present, I suspect, is testimony to their ability to echo and refine that earlier musical language. The middle ground of “Into Oblivion” and “The Eye of Light” feel like vintage Isole. In fact, the main riff of the former is one such instance where it feels like an older song I cannot quite place that has been revamped. Reborn. Given the deep tone throughout it is heavy indeed. Then the latter flows gently from it. The current gradually swelling, shifting left and right, with consummate ease. Cool, crisp and clear it sparkles with an epic shine. In marked contrast, “Perdition” is ominous. Foreboding. The vocals almost spoken rather than sung. The hymn builds and breaks against the backdrop of a solitary guitar and a subtle percussive tapping. Tension builds in the strings. Guttural passages alternate with dual harmonising before an unexpected shift into Black Metal dissonance and accelerated battery. Retreating inward, “Alone In Silence” is almost monastic in contemplation. Bryntse very much at the fore underpinned by heavy rhythmic movements, lead breaks and a gentler brooding refrain. Majestic. “My Regret” burrows deeper down and is easily the most understated song on the album so may seem like a strange close. No more drama. The storm has passed. A solitary bass line. A voice in mourning. Gentle guitar picking, which is quieter still, provides another reprieve before the final movement of subdued elevation. Melodious. Unhurried. Soaring. 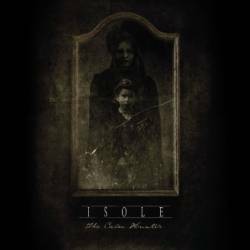 On the very cusp of December, Isole has delivered an unexpected highlight of 2014 and a record that stands proudly in their canon. After years or abandonment, they are far from dead to me.